There was light at the end of the tunnel for CAMPER on Monday as they entered the final 24 hours of Leg 5 — but they still face one final challenge before the crew can end their month-long ordeal. 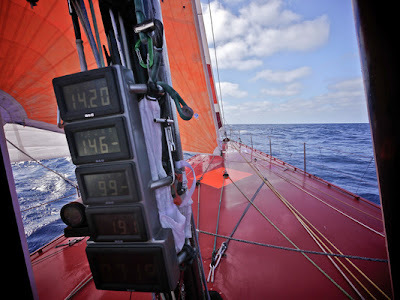 An area of light wind in the last 20 miles before the Itajaí finish line could yet make the Leg 5 finish painfully slow for CAMPER with Emirates Team New Zealand after more than 9,000 nautical miles of racing. “Hopefully we’re going to be the lucky ones and it moves a bit, and we get a little puff without drifting around for hours out there,” said helmsman Tony Rae. Previously, Leg 5 winners PUMA Ocean Racing powered by BERG, runners up Team Telefónica and third placed Groupama sailing team all encountered light winds on their final approach to Itajaí. “Fingers crossed that won’t happen,” Rae added. 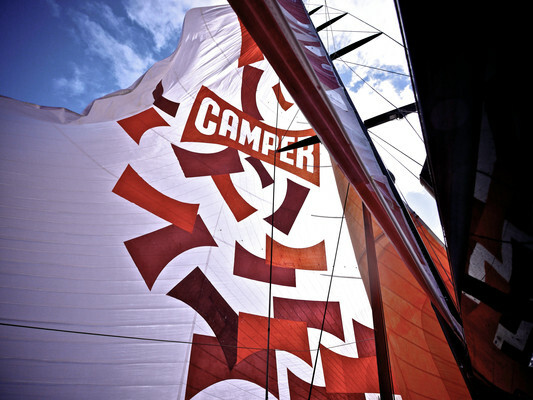 CAMPER were forced to suspend racing on April 3 before diverting to Puerto Montt in Chile for repairs to structural damage. They resumed the leg on April 8 and have since put their Volvo Open 70 through its paces in gale force winds and huge seas. According to Rae, she has passed the test with flying colours. 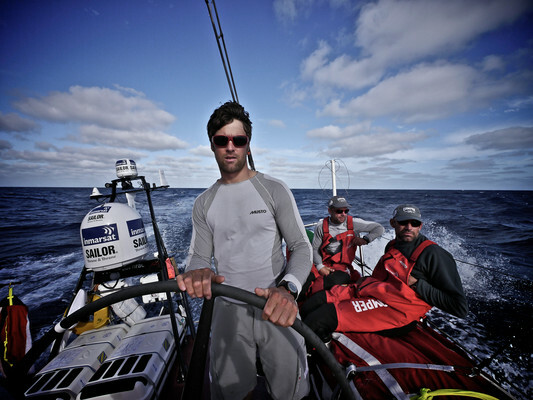 “What’s comforting for us is that we’ve sailed from Puerto Montt round Cape Horn and given the boat a pretty good battering and that gives us a lot of confidence that the repairs are good and we’re good to go again,” he said. Once back on dry land CAMPER will need to hustle to get ready for the DHL In-Port Race Itajaí on April 21, in which they will be among the favourites after taking a home town victory in the Auckland In-Port Race. 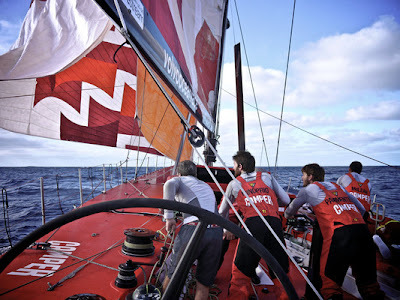 The tight turnaround will leave little time for the sailors to rest after a month of full-on racing – but Rae said the whole team were up for the challenge they face once they cross the finish line. “We’ve all got our heads around how much time we have and when the start of the in-port race is, so any hours we will get off will be valuable and we’re looking forward to having those,” he said. “We’re actually quite excited about getting back into racing again after such a long semi-delivery that we’ve been on." 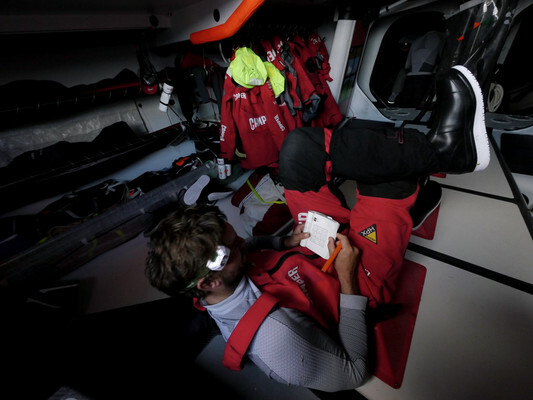 Already in Itajaí, the top three teams to finish Leg 5 have been making the most of their time ashore to prepare their boats for the resumption of competitive action next weekend. PUMA were the first team to put their boat back in the water, launching on Sunday. 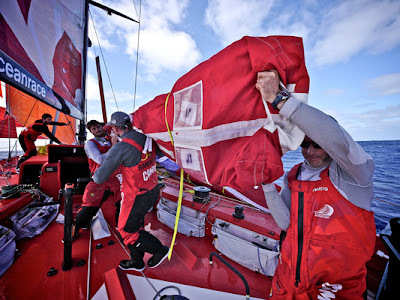 Shore team manager Tim Hacket said the workload during the stopover had been steady rather than frantic and had allowed for a number of jobs left over from previous shorter stopovers to be completed. “The sailors are back today and are heading out sailing tomorrow,” he said. “We are getting all the gear back on board. Nothing too frantic, just normal preparation for a sailing day." Team Telefónica stepped their mast on Sunday for regulation measuring and weighing before taking it out again for more work. Shore team boss Horacio Carabelli declared himself happy with their progress. “We will go in the water today and do a short sailing session — we have plenty of things to do but we are in a position that we can go sailing today,” he said on Monday. Groupama’s shore crew are still preparing their replacement mast which was flown in from the Netherlands. “Today is a big day for us,” said shore team head Ben Wright. “There is a lot of detail to get through to do it properly so there is a little bit of urgency about it but certainly no fever or panic yet. 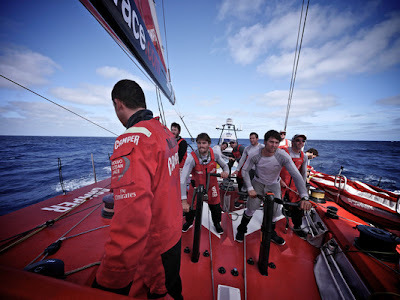 “We are pretty comfortable that we will go in the water today about three o’clock. Then we will put the mast in when the boat is in the water and get ourselves tidied up and set up for to go for a sail tomorrow around midday." Latest estimates suggest CAMPER will complete Leg 5 around 1000 UTC on April 17. At 1300 UTC today they had 224 nm of Leg 5 remaining. Their fourth-place finish will see them claim 15 points, enough to move them up above PUMA and back into third place in the overall standings.